Your gut health is one of the health issues that you can have with your body that can make or break how you feel. If your gut health is positive then you will have good digestion and you will reduce your chances of fatigue and other body issues. When you have poor gut health you can find yourself having issues with weight gain, toxin build-up, and digestive issues that can cause further problems in the body. If you are facing gut health issues, or you want to avoid them, then here are some smoothies you should consider. Just one a day can make a drastic difference in your gut health and overall health. You can add additional foods to your gut smoothie base to help with gut health. These should be probiotic in essence to help give good bacteria back to the area. If you do this consider using greek yogurt in place of liquids. This will make a creamy smoothie but it will give you the boost of probiotics to your system. 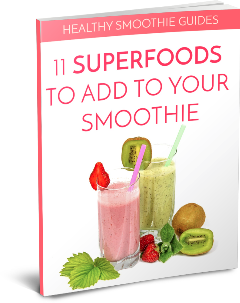 This can help with gut health and soothe the gut as you take in the smoothie on a routine basis. One of the biggest tips to making a gut health smoothie or adding to the smoothie is to focus on your needs and your overall gut health. Make sure that you are not using too many acids in the smoothie since that can cause further breakdown. Make sure that you are focused on cleansing foods such as fiber based foods that will help flush the area and remove toxins as well. By keeping these simple tips in mind, you can build on the main base of the smoothie and create one designed for you.